Horse heaven with small acreages from 5 to 80+ acres and nestled in the heart of sunny central Oregon, Tumalo rests along Oregon’s spectacular Deschutes River. 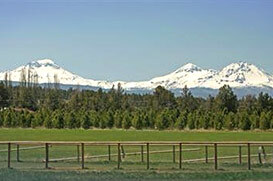 This rural area is simultaneously close enough to the town of Bend to make an quick jaunt to the grocery store, but far enough away to escape the commotion. Its location makes it an ideal stepping stone for any type of outdoor activity you could possibly dream of: lush green golf courses, clear blue-ribbon trout steams, pristine alpine lakes, miles upon miles of challenging yet scenic hiking and mountain bike trails, and of course the Cascade Mountains are all within easy reach. At dawn or dusk try casting for rainbow trout as they sip at mayflies and caddisflies. Grab your raft and float with your feet dangling into the cool water of the Deschutes river at Tumalo State Park during the heat of the summer. Take a hike and explore one of the river trails as they gently wind through canyons created by the untamed river. Watch deer forage for food just as the sun creeps below the rim of the canyon. Listen as coyotes perform their haunting call, announcing the sunset and the coming darkness. Smell the sweet fragrance of sage and juniper as the dew drips off its branches. Sit quietly in the evening and let the stars put on a show of their own.